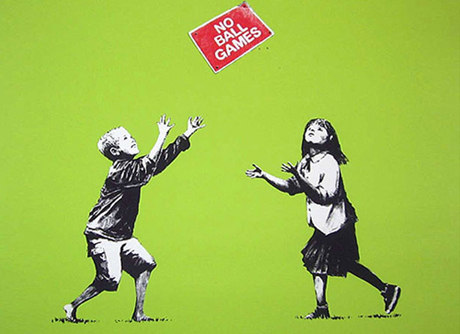 Want to steal a Banksy? Melbourne’s boutique hotel group, Art Series Hotels, is encouraging theft this summer. But ‘legitimate theft’. A Banksy original will be doing the rounds of their three hotels in Melbourne over the summer break and if you manage to find it and successfully steal it, you can keep it. The only way to be in the running is to book into one of their hotels between 15 December 2011 and 15 January 2012, and have a theft plan in mind. 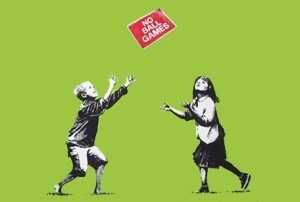 The Bansky on offer is a $15,000 Banksy original, No Ball Games. For more information on the competition, head to Art Series Hotel’s website.